There are a variety of different little things I tend to type over and over. I answer support questions for Cart66, the WordPress Ecommerce Plugin and there are some common questions that tend to come up on a regular basis. So I have saved answers for those common questions. Another example is my contact information. If I am sending a personal email I might put a different email signature with my personal contact information as my email signature. If I am sending a business email, I’ll use a different signature. I also do a lot of coding and there are various code snippets I use repeatedly. There are browser add-ons that can do text snippet expansions. One of the best ones I’ve found is Auto Text Expander for Google Chrome another one is My Words for Firefox. Of course there’s also Autokey for Ubuntu, but it doesn’t work in Firefox or Thunderbird. I just wanted a simple, centralized tool that worked with everything where I could just type a little abbreviation and have it expand into whatever larger text block I needed regardless of what app I happen to be in. There is Snippy which uses dmenu to do a fairly similar thing to what Texpander does. But I prefer using zenity so I can just type in whatever abbreviation I need rather than using dmenu to select the abbreviation. So, I wrote this really small bash script which you can assign to a keyboard shortcut. When run, it will prompt you for an abbreviation using zenity. Then paste the contents of the file in your ~/.texpander directory matching the abbreviations you just entered. If you have your email signature in a file called ~/.texpander/sig.txt you would enter the abbreviation sig when zenity prompts you. It looks like this. Launch the keyboard preferences (part of System Preferences). I just fire Dash by pressing the super key and then type keyboard like this. It might not be immediately obvious how to actually set the keys that trigger the shortcut. All you do is click on the window where the key sequence is located. Installation details and more information about how to use Texpander is available on github. 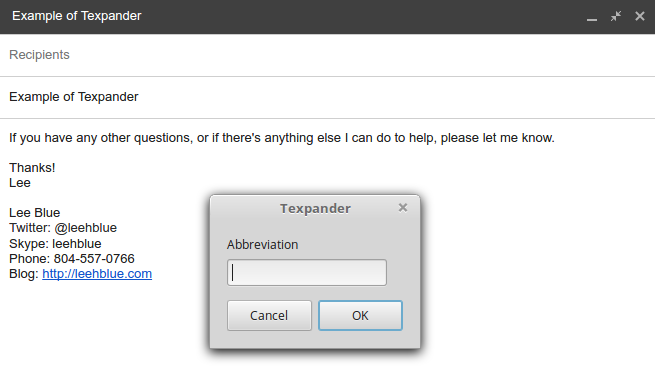 Texpander adds the .txt extension to whatever you type in the abbreviation text box. I like having the .txt extension on the text files so you can open them easily in your text editor associated with the .txt file extension. Easy enough to set up. Worked right off the bat. I’m used to text expander apps on other platforms that will automatically parse and replace any missing tokens, but there’s a lot of black magic that goes into those. This is really simple, controllable and extendable. I’ll be giving this a nice test drive for a while. Thanks. Zenity is pretty cool. I wan’t familiar with it. I was able to easily alter your script to have zenity bring up a list of abbreviations to choose from, rather than having to remember, getting the file names by listing the .texpander dir. I removed the .txt extension part to make the list look better this way. Works great. Thanks again. If you like zenity, take a look at yad. It’s a fork of zenity which has a number of additional features and is actively being supported and developed. I use it a lot (not in AutoKey). Never tried yad. I’ll definitely take a look. Thanks for the recommendation! Weird problem with cairo-dock – if you detach an item, say a clock and pin on top, the script picks up the process id of cairo-dock and tries to paste to that id. Unpin or return to dock, the script works as expected. Nice tool. It will definitely meet some people’s needs. A few comments. 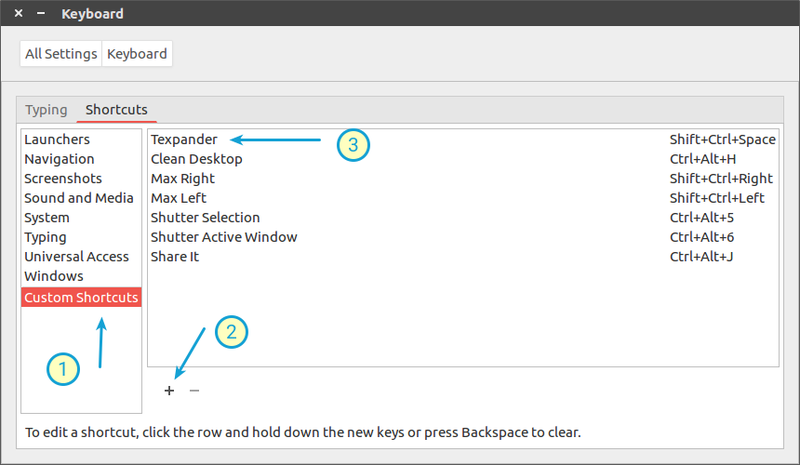 AutoKey does work in Firefox and Thunderbird. I use it all the time – especially in Thunderbird. 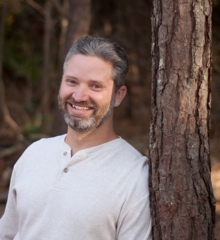 I didn’t say it works perfectly – sometimes things change in those apps and you have to adjust your phrases or macros. From the installation step 2, you mentioned “Create a keyboard shortcut that calls ~/bin/texpander.sh“. Can you further elaborate this step? Hi Vicky. You’re not the only one who has asked for details on setting custom keyboard shortcuts. So I just updated this post with some instructions on how to do that. Whenever I have something in my clipboard – it just copy-pastes that instead of the abbreviation. So I got to clear my clipboard via terminal for it to start working again. The other thing is – it seems to work in stuff like TextEdit but not on my online web email. Anyway great idea, I used to use TextExpander on MacOSX, but having some flaws that makes it unusable for me at this point. P.S. Using latest Ubuntu, not sure if that might have something to do with it. Hmm… I’m not able to reproduce any of these issues on my own. I’m running Ubuntu 16.04 on a System76 Oryx Pro. I don’t have to clear the clipboard and it works for me in Gmail, my WordPress editor, etc. It’s going to be hard for me to troubleshoot this without being able to reproduce the problem, but I’ll see what I can figure out. Thanks for letting me know about this. Great script. How can I get the current time and date to output? It doesn’t have any dynamic text capabilities at this point. It just pastes text from snippet files into the document you’re working on. See my comment below on this topic. 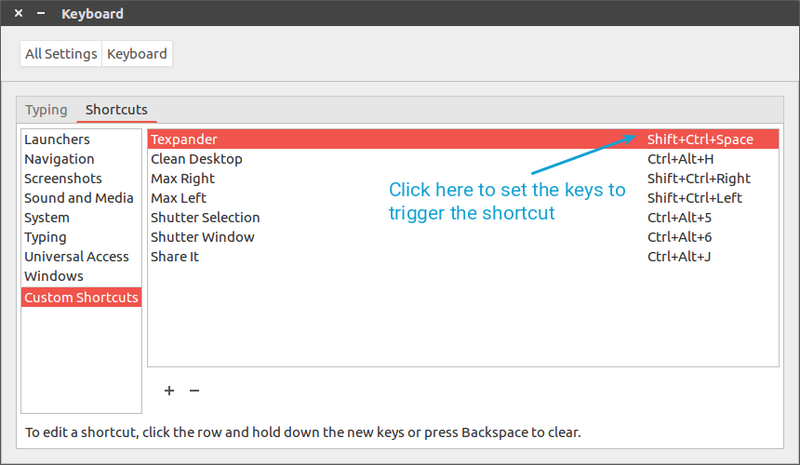 I am trying to run texpander with Thunderbird (Linux/Mint 17.3, KDE). After defining and using the shortcut (strg+space), when I type an abbreviation – e.g. ra – a display box appears, in which the NAME of the file in my ~/.texpander directory, i.e. ra.txt, appears, instead of a list of my abbreviations within that file. 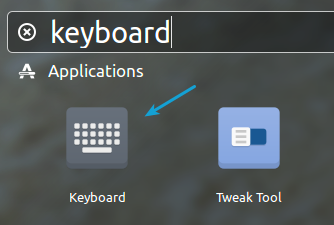 Surely I must be missing something, or is there maybe some problem with the KDE-desktop. The names of your files in the .texpander folder are the abbreviations themselves, and the contents of those files are the text to be pasted. What about adding support for pasting the output of a .sh script? For instance, I could write a script called “date.sh” and throw it in my .texpander folder, and when I use that abbreviation the script is run and its output pasted. In this case the script returns the date and time, a common functionality found in text expansion utilities. This feature might turn your script into Linux’s answer for AHK. I agree – this would be an awesome feature. Enough for me to step out of macos completely. Is there any follow up on this. Please add support for folders in the .texpander directory (i.e. /signatures, /answers, etc.). Just make the script iterate through all the subdirectories of the .texpander directory instead of the top level. I have dozens of expansions in AHK on Windows and would love to be able to sort them out a bit. Otherwise, thanks so much for making this great script! AutoKey just doesn’t work for me and I haven’t been able to find an alternative oddly enough. Your script has brought an absolutely invaluable tool into Linux for me. Implementing .sh support like I mentioned above would make it a perfect alternative to AHK for someone like me coming in from Windows. Thank you so much for another great tool. I do everything you said and now when I press Ctrl+Space it show me a window from which I can choose abbreviation but not allowing me to enter abbreviation, any help on this? I have just upgraded from Uuntu 17.04 (Unity) to Ubuntu 17.10 (Gnome). Texpander now, more often than not pastes a v instead of the contents of the chosen text file. Any ideas why? I’m using the new Pop!_OS by System76 right now which is based on Ubuntu 17.10 with their own tweaks to Gnome. I’m not having that problem, but I suspect it’s probably due to the logic that tries to decide if Texpander should paste with CTRL+V or CTRL+SHIFT+V. Let me know what app you’re trying to paste into or any other info you can think of that might help me duplicate the issue and I’ll try to whip up a fix. I generally paste into Gmail (in Chrome) and Gnome Terminal (using Vim) and both of those are working great for me. Sorry it’s not working out well for you. Lee – Thanks for your prompt reply. I use your app to paste into many programs but mainly Gmail (in Chrome). Now it is very hit and miss – it sometimes pastes the text and sometimes it doesn’t. In LibreOffice & Gedit it pastes nothing at all. The only thing that I have tried to fix the problem is to push the delay up from 1s to 10s – but that did … precisely nothing! Any suggestions would be most appreciated. i.e. using the syntax of format as in date command. the only caveat is that your txt file names have to be exactly the same length, but for me it has always been 4 characters for textexpander. And then you type your four magic characters, hit the hotkey of your choice and watch the last four characters turn into snippet created beforehand. P.S. Sorry for my english (it is my fourth language after all) and i know the code is not the most elegant, but i just got acquainted with bash scripting. is texpander looking for .texpander directory in /bin? Should .texpander with abbreviations be in ~/??? Another vote for a timestamp please. Could this be incorporated somehow? And voila – after the hotkey and my selection I’ll get the current date / time inserted as desired (in iso format / 24h format). It doesn’t paste anything in Linux Mint 19, xfce. then pastes nothing, or the current/previous contents of the clipboard. kate, text-editor, thunderbird new email, web browser. (Incidentally, if you could write an install script, a good default keystroke would be ctrl-alt-v as it is rarely used, and is somewhat related to paste, (ctrl-v, or ctrl-shift-v)). Couldn’t register with accessibility bus: Did not receive a reply. Possible causes include: the remote application did not send a reply, the message bus security policy blocked the reply, the reply timeout expired, or the network connection was broken. If they don’t exist, throw an error and tell people what they need to install. Also, the second xdo line adds extra line feeds. so single spaced items come out double spaced, if I get a chance I’ll play with your regex, and see if I can fix it. Thanks for this feedback! With the current project I’m working on I’ve been using a MacBook Pro so I haven’t had a whole lot of time to update or work on Texpander. But, if you are able to add a fix/enhancement, let me know and issue a pull request on GitHub so I can incorporate your updates for everybody. Thanks again!